NY style pizza with hand tossed dough, fresh homemade pizza sauce, and the highest quality cheese. Most delicious pasta in town!! Home of “The Bomber”—Philly cheesesteak plus more! Don't foget to check out our dessert menu including our traitional Cannolis. 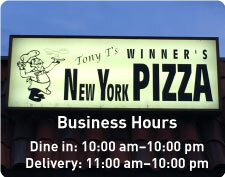 Winners NY, located in the heart of Agoura Hills, prides itself on bringing the best NY style pizza to Southern California. Anthony and Jessica are residents of Agoura Hills, and have owned Winners NY Pizza for the last 16 years. 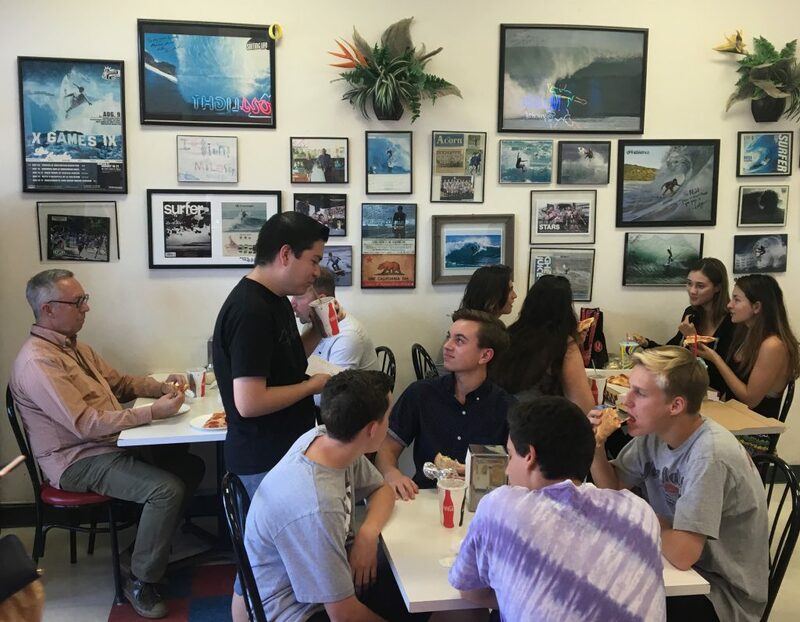 We take the utmost care in maintaining the highest quality of food and customer service. Pizza to our family is handtossed dough, topped with fresh homemade pizza sauce and the highest quality cheese on the market. Pizza should not be prepared any other way. We are not affiliated with any other pizzeria. Make sure to program your phones with 818.991.5800 so you get the quality food and service you deserve. Make sure you have the right location! ©2017 Winners New York Pizza, Agoura Hills. Website designed by Twee-A Graphic Design.